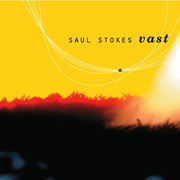 The music of Saul Stokes seems to have two centers. The first accommodates the current ideas of tonal and rhythmic organization while the other freely seeks original timbres outside conventional sonant hierarchies. On his previous several releases, Stokes has navigated the paradox of using technology to express a wide range of human feelings quite well. Vast (62'10") is Stokes' most accessible work so far and strongly forges ahead on paths parallel to both mainstream and experimental music. The seven tracks are intermittently lazy, loose and open yet elsewhere demonstrate a knowing affectivity in their tight arrangement and harmonic contrast. Stokes ushers the concept of musical indeterminacy down to the circuitry level. His hand-built, self-designed tone generators often produce sonically unexpected but esthetically welcomed results. The drifting oscillators, distorting filters and general irregularity inherent in his homemade devices produce a range of chaotic characteristics honed out of commercially manufactured keyboard synthesizers. As high-concept as this may seem, Stokes manages to infuse a sense of wonder into his compositions. Be it in dreamy melodic figures, expanding harmonic progressions or basal body beats, the music of Saul Stokes speaks the electronic infinite word. 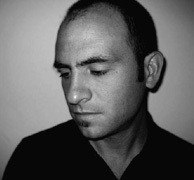 His work is an exemplary fusion of experimentalism and electronica.